Get a great price on the Augvape Intake RTA from Vapor DNA. 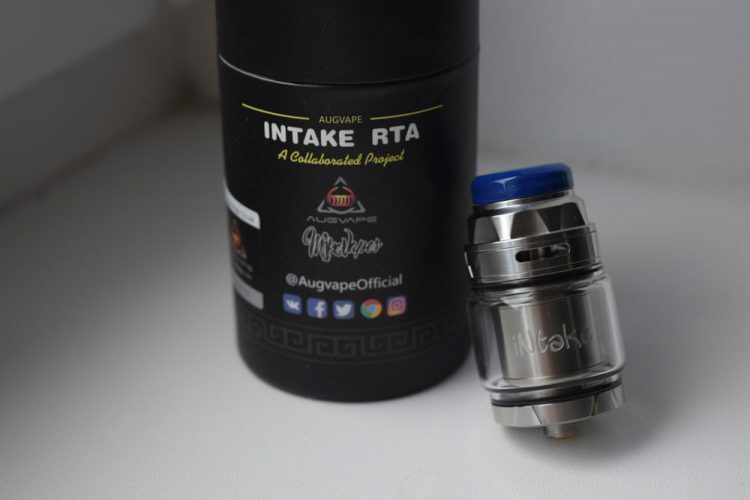 Like all of Augvape’s atomizers, the Intake RTA comes in a tubular carboard box featuring the Augvape logo on top, the product name and MikeVapes’ logo, as well as Augvape’s social media handles on one side, and a list of contents and company information, on the other side. Removing the top of the cardboard tube, you’ll find a 3-in-1 screwdriver and the Intake RTA sitting in a foam holder. However, if you also take the holder out, you’ll also find a spare glass tube for the tank and a bag of accessories, way at the bottom of the box. I for one struggled a bit to reach down and get that glass and the bag out, because the box is pretty narrow and they are way down. Now, I have small hands and I still had problems reaching down, so someone with sausage like fingers may actually have to tear apart the box to get them out. Hopefully, Augvape will either rethink the design of their packaging, or at least make both ends of the box more accessible. Anyway, the spare glass you get is a classic, tubular one, but you also get a bubble glass pre-installed on the RTA, and the accessory bag contains some silicone o-rings and gaskets, two Phillips-head screws for the build deck, a spare 810, Goon-style drip tip (Delrin) and an adapter for 510 drip tips. I would have really liked to see at least one lousy coil thrown in for people who don’t like to build their own, have ran out of spares, or just want to use the Intake right out of the box. 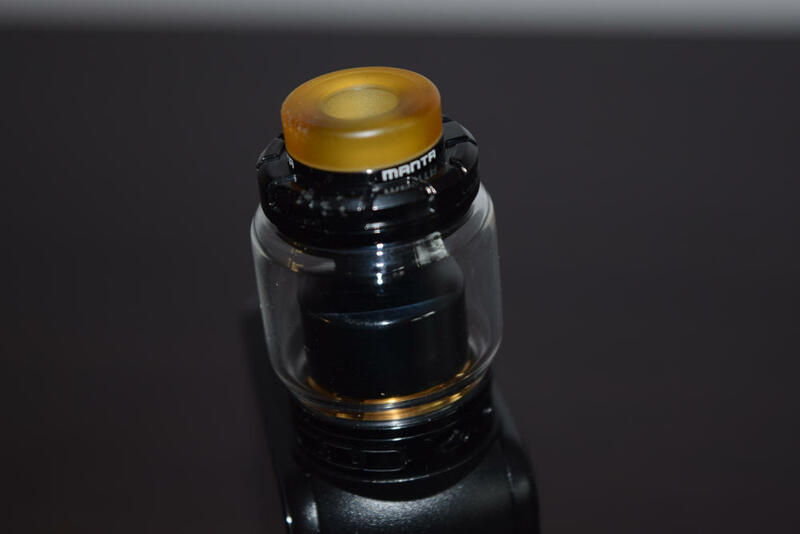 The Augvape Intake RTA measures 24mm in diameter, at the base, but extends to 26mm around the bubble tank. 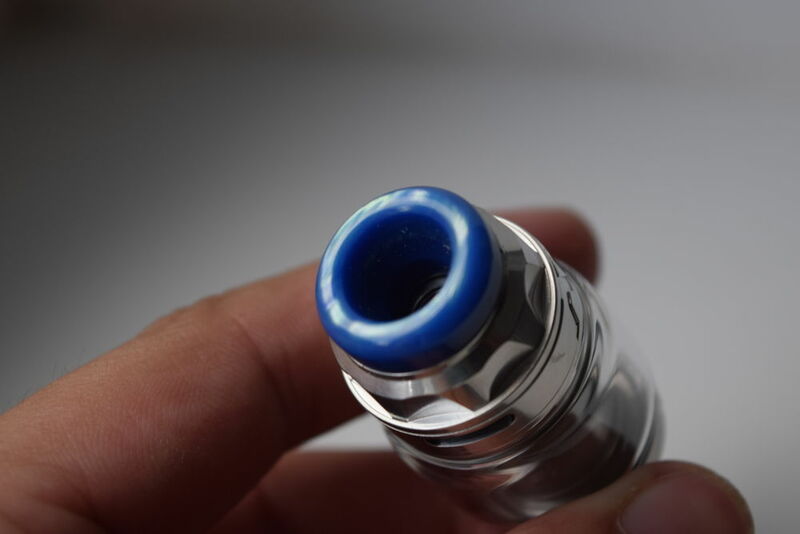 It measures 50.5mm from the tip of the low-profile 810 drip-tip, to the bottom of the base. With the classic glass section, the Intake has an e-liquid capacity 2.5ml, which can be increased to 4.2ml with the included bubble glass. I have to start by saying that I’m not a big fan of how the Intake looks. 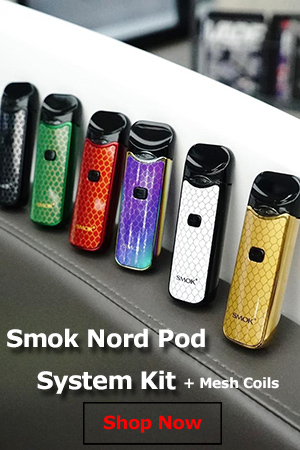 It has nothing to do with the machining, in fact I think Augvape did an exceptional job in that department, it’s just that the design just doesn’t appeal to me. Having the airflow system at the top, like on the OBS Engine and Engine Nano RTAs just isn’t aesthetically pleasing, in my opinion, and just make the tank look bulkier than it really is. However, beauty is in the eye of the beholder, so this is a very subjective con. 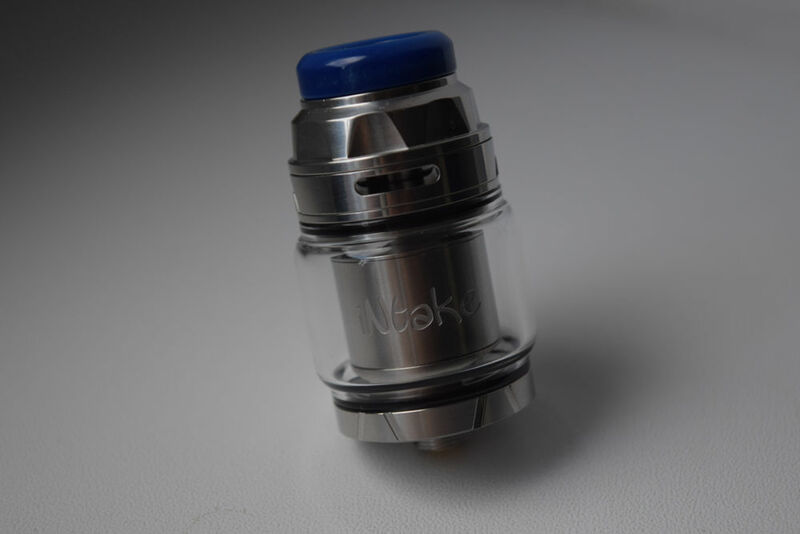 Augvape sent me the stainless steel version of the Intake RTA for this review, but you can also find it in black, gun metal and blue, all of which come with the same blue resin 810 drip tip. Color-wise this only works with the blue version of this RTA, in my opinion, but otherwise I really like the quality of this low-profile tip, and have already paired it up with a couple of blue atomizers in my collection. Even though using low-profile drip-tips like this carries the risk of burning your lips, because they tend to also touch the metallic top cap of the atomizer, the design of the Augvape makes that a non-issue. The top part of this thing never even gets warm, regardless of how low your coil resistance is, so there’s no risk of burning your lips. But if you still prefer taller 810 drip-tips or even 510s, you can opt for those instead. 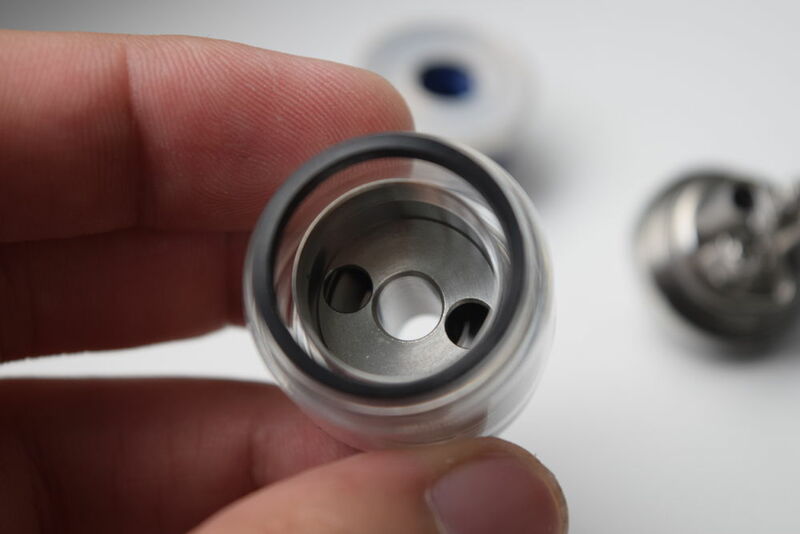 The top cap of the Augvape Intake is very easy to remove and put back on, thanks to a very intuitive locking system. All you have to do to remove the top cap is grab a hold of it and twisted counter-clockwise. A half turn is all it takes for it to pop off, giving you access to the fill port. Once you’re done filling the tank, simply align the slots on the elevated chimney with those on the top cap, and half turn it clockwise to lock it back in place. The fill port features two medium-sized kidney slots and is slightly recessed which is really clever, as it prevents juice from leaking when putting the top cap back on. Even though juice sometimes accumulates on the fill port plate, being slightly lowered from the edge, prevents it from leaking. The adjustable airflow ring is located underneath the fill port and features two medium-sized slots. The ring has just the right resistance to it, making it easy to turn, but not to the point where it moves by itself. The short chimney of the Augvape Intake expands into a massive barrel that isolates the atomization chamber from the juice in the tank. It looks fairly common from the outside, with the only noteworthy element being the ‘Intake’ logo etched on one side in graffiti-type font, but it’s actually very ingenious on the inside. More on that later. Finally, on the bottom, we have a simple base that also includes a peculiar build deck with pipe-like airflow tubes sticking out of it. 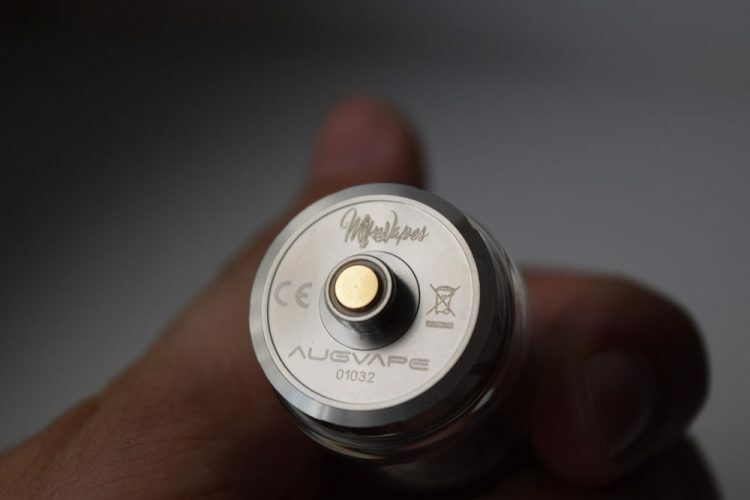 On the bottom of the base, we have a non adjustable 510 pin, the MikeVapes and Augvape logos as well as the unit serial number. One con I have to mention about the base is its rounded edge which unfortunately creates the illusion that the atomizer never sits flush on a mod. Even though there’s actually no gap between the RTA and the mod, that rounded off edge makes it look like there is, no matter what vape mod you have it mounted on. It’s an unfortunate design flaw that could have easily been prevented if they had just left the base completely flat. As I mentioned, the build deck of the Augvape Intake RTA has a very interesting design. We have two beefy posts positioned diagonally from each other, with two rather long air shafts next to them. In the middle of the deck, we have three more air slots as well as two wicking slots that lead to two cutouts below the deck. So how does all this work? Well, those two long air tubes connect to two large holes on the inside of the barrel, which in turn connect to the two airflow slots at the top of the RTA. So air comes through these two airflow slots, travels through the metal barrel, goes into the two metal tubes on the deck, comes out at the bottom of the build deck and then travels upward through those three air holes in the middle of the deck, hitting the coil and pushing the vapor through the central shaft and into your mouth. If all that sounds familiar is because it’s basically the same principle used on the OBS Engine and OBS Engine Nano, although the execution here is a bit different. 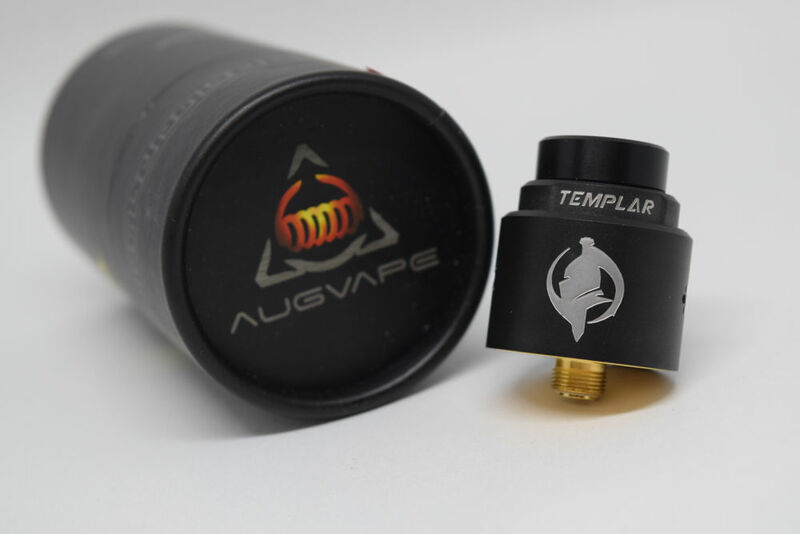 So if you’re a fan of those two very popular RTAs, you may want to check out the Augvape Intake as well and see what MikeVapes has done with the concept. 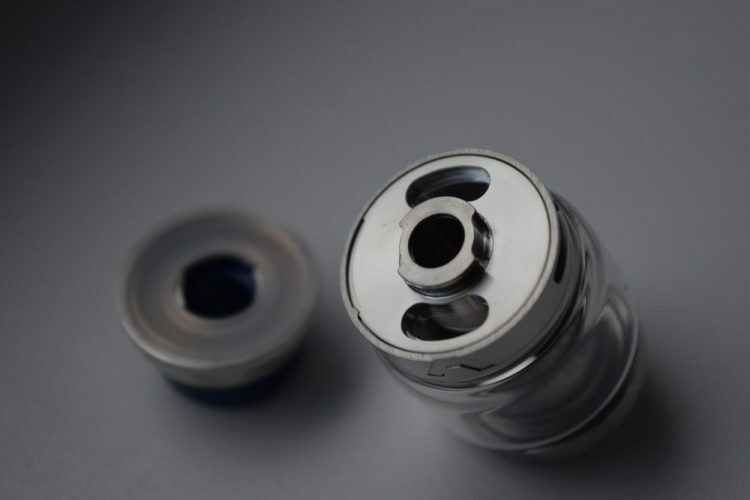 Overall, the Augvape Intake is not the most attractive RTA – just my opinion – but it’s definitely an interesting one, and the quality of the machining is excellent, both on the outside and on the inside. The build deck of the Augvape Intake RTA may look a bit different, but it’s actually very easy to set up. But first, I highly recommend taking the whole device apart and giving it a good rinse with warm water. Then, when everything is nice and dry, just mount the build deck on a mod or an ohm reader and start installing your coil. One thing I like about the posts of this build deck is that they come with beefy Phillips head screws that do a good job of tightening all kinds of wires – both thick and thin – firmly in place. Since this RTA didn’t come with any coils, I just used my favorite wire (simple 24 gauge Kanthal A1) to build one on the fly, and mounting it in place was a breeze. 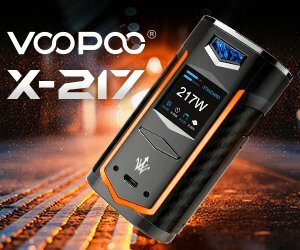 You need to keep in mind that, like on the Ehpro Bachelor X or the new Wismec Bellerophon RTAs, the leads of your coil have to face opposite directions. Once you’re ready to mount it, unscrew the two Phillips screws to clear the slots, slide both leads in and tighten the screws. Also make sure that the wraps of your coil are facing upwards, as they may otherwise touch the metal base of the deck and cause a short. Normally, I don’t worry too much about that, but because the post slots are located so low on the Intake, it can be an issue. Thanks to the location of the posts, your coil should always be in the center of the build deck, right above those three air slots on the bottom. Once it’s positioned correctly, snip the leads of the coil as close to the posts as possible to prevent the wire from touching the metal barrel that goes over the deck, and get ready for wicking. 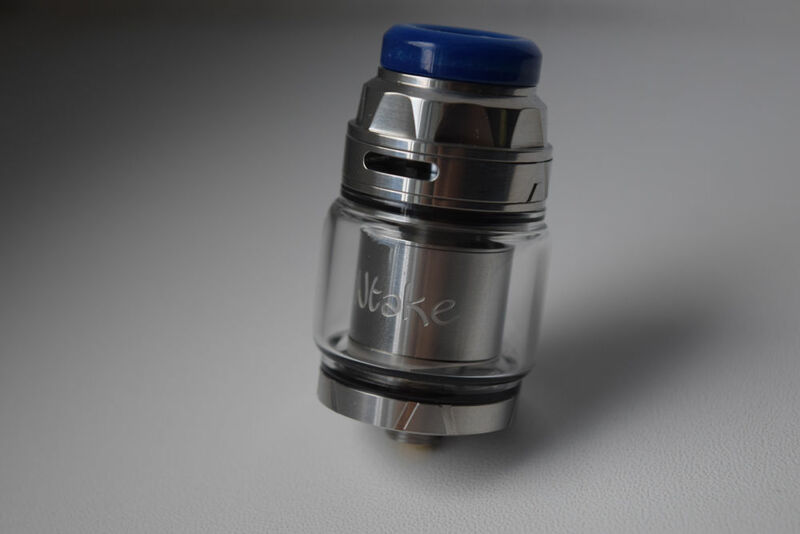 The Intake RTA features two massive wick slots so you should have no problem with dry hits, if you do the cotton wicking correctly. There are actually several ways you can wick an RTA correctly, and ultimately it all comes down to personal preference. The one thing you want to avoid is cramming too much cotton into these two wick slots to the point where it then prevents the juice from reaching the coil fast enough. As long as the cotton leads feel loose in these slots, you should be ok. I also prefer to thin out my leads and cut them to the point where they simply cover those wicking holes instead of going through them all the way into the e-liquid reservoir below. But, as I said, there’s no wrong way to do it, as long as the cotton doesn’t block the juice flow completely. Once you’re done wicking, drip a bit of e-liquid on the cotton, to prime it, put the Intak RTA back together and fill the tank with juice. Then let it sit for a minute or two, and you’re ready to vape. The Augvape Intake RTA is being advertised as a leak-proof atomizer that maximizes flavor, and in that respect, it does live up to expectations. Just like the OBS Engine and OBS Engine Nano, the Intake makes leaking extremely unlikely, as the airflow slots are located all the way at the top of the tank. That said if the atomization chamber somehow gets flooded with juice – which shouldn’t happen if you wick correctly – the juice can find its way into the main shaft and into your mouth. If that should happen, just redo the wicking, making sure that the wick slots are insulated better. Flavor is indeed a strong point of the Intake RTA, both thanks to how the airflow system is designed, but also because of those three air holes below the coil. 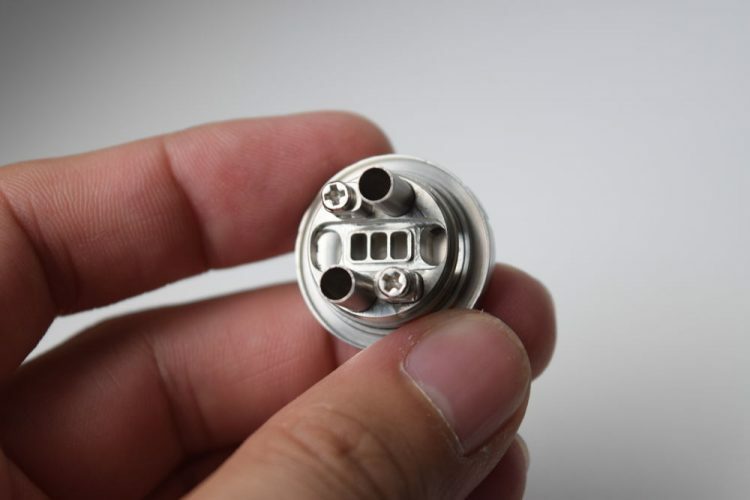 We normally see one round bottom air hole on RTAs, which is fine, but because these three holes are positioned in a straight line, they cover the entire coil, regardless of how long or wide it is, so the air hits its entire surface. I’m no expert, but I’d say that impacts flavor as well. Vapor production obviously depends a lot on what coils you are using, but the Augvape Intake RTA is definitely capable of producing some impressive clouds. 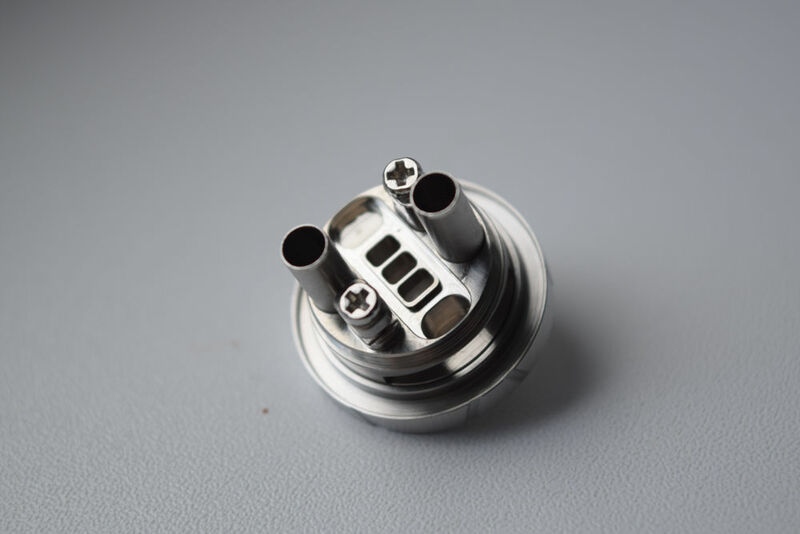 However, this is a single coil atomizer that prioritises flavor, so you shouldn’t expect competition-level plumes. Still, for me, and I would say the average vaper, vapor production is above average for this type of device. 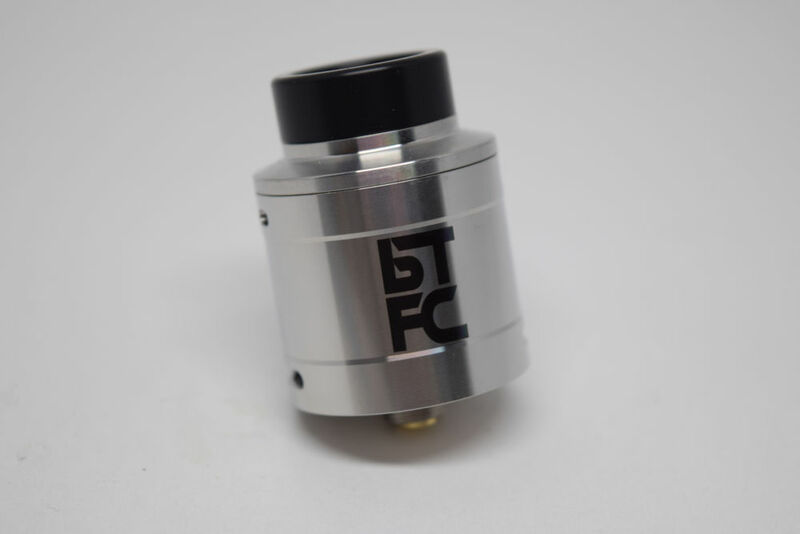 If there’s one con to be mentioned about how the Augvape Intake RTA performs, it would have to be the slightly restricted draw, even with the two top airflow slots wide open. I’m not sure exactly why it feels more restricted than the OBS Engine Nano, for example, which has a very similar airflow system, but it does. The airflow slots look like they can deliver an airier draw, as do those two fairly large air tubes on the deck, but in reality, the draw has a tighter draw than you would expect. That being said, this slightly restricted draw is not a con to me personally, as I prefer a tighter draw to an overly airy one any day, but it would have been nice to have this RTA at least allow this type of loose draw to whoever prefers it. I’ve never really been a big fan of MikeVapes – nothing personal, I just prefer to follow other vape reviewers – but I honestly think he did a great job on the Augvape Intake RTA. Yes the look isn’t to my taste, but that goes for the OBS top airflow RTAs as well, so maybe it’s a general thing, but as far as performance, this atomizer does live up to the hype. It makes leaking highly unlikely, the flavor you get is about as good as it gets from an RTA, and the airflow system with those two long air shafts on the deck is actually quite ingenious. 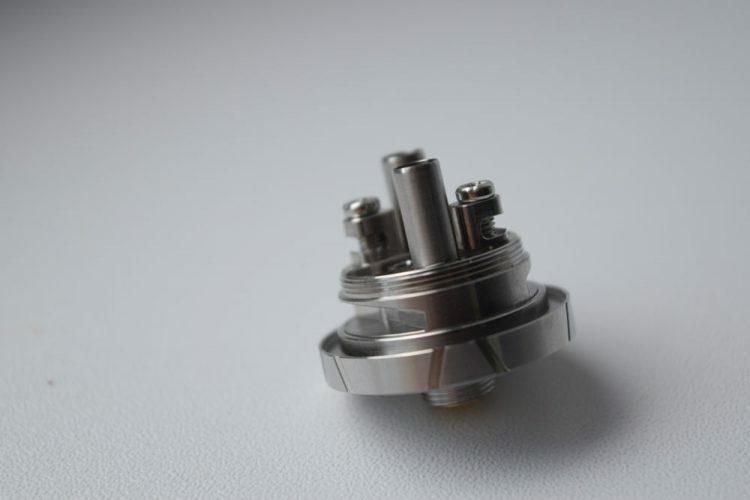 The Augvape Intake RTA tested for this review was sent to me directly by Augvape.